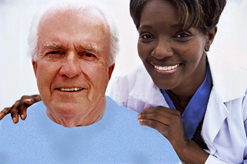 * At Complete Care Services we have a team of over 120 dedicated, committed and highly trained Community Care Workers. * Prior to starting work all our staff are carefully vetted through Criminal Records Bureau checks and Protection of Vulnerable Adult checks. This ensures they are cleared to work with vulnerable people. * We also ensure we receive 2 written references for staff prior to employment. * All our staff undergo comprehensive induction training and spend time shadowing a senior colleague until they are judged competent to work alone. * Our induction training includes moving & handling, health & safety, equality and diversity, adult safeguarding, first aid, food hygiene, nutrition, dementia, diabetes, sensory loss, continence awareness, palliative care, stroke care, infection control, safe medication, and communication skills.